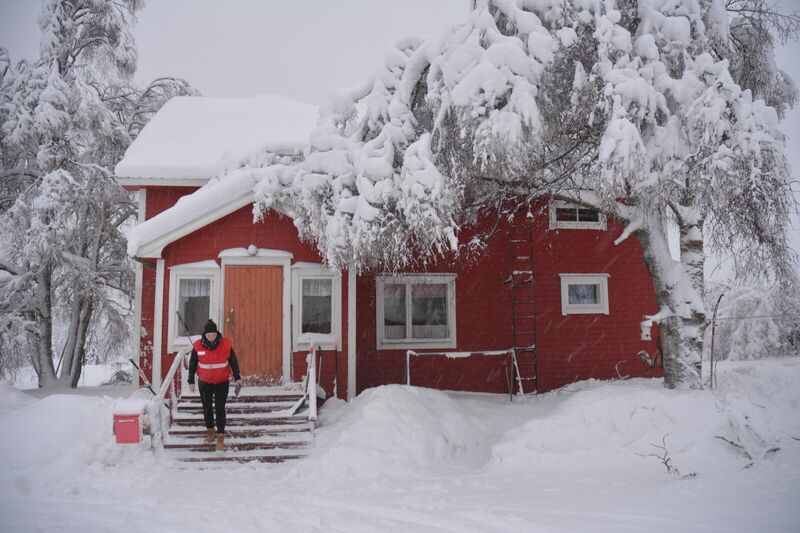 While the Red Cross Red Crescent counts on more than 10,000 trained volunteers around the Arctic who have extensive knowledge of local conditions and are well prepared for everyday incidents, assistance would need to be mobilised from outside the region to respond to major accidents. The “Red Cross Arctic Disaster Management Study” highlights some of the shortcomings of current arrangements and planning for these types of events. The Arctic is a vast northern area, characterised by severe conditions and challenging geography. It is home to numerous northern communities, but also a target of growing interest from outside, including from the European Union (EU). Indeed, at the end of 2016 the integrated EU policy for the Arctic was adopted; stepping up existing engagement in the region with thirty-nine actions focusing on climate change, environmental protection, sustainable development and international cooperation. With increasing activities related to trade, shipping, resource extraction and tourism, the possible risks and vulnerabilities in the area are also growing. This Finnish Red Cross study is the first attempt to map existing Red Cross expertise and capacities in Arctic response – including human resources, equipment, logistics, databases and alert systems, training and capacity building, cooperation and coordination, and long-term programming. With additional input from Red Cross Societies in the United States, Canada, Iceland, Denmark, Norway, Sweden and Russia, the study is part of the Finnish Border Guard’s Arctic Maritime Safety Cooperation (SARC) project funded by Finland’s Ministry for Foreign Affairs. The spectrum of possible risks in the Arctic is wide, ranging from cruise ship accidents to oil-spills, and natural disasters such as earthquakes, tsunamis and landslides. Arctic emergency response is particularly challenging because of the vast distances, cold conditions and resulting time pressure, and insufficient physical and social infrastructure. National Red Cross Societies in the area have adapted to these conditions by developing specific techniques and equipment for the Arctic context. 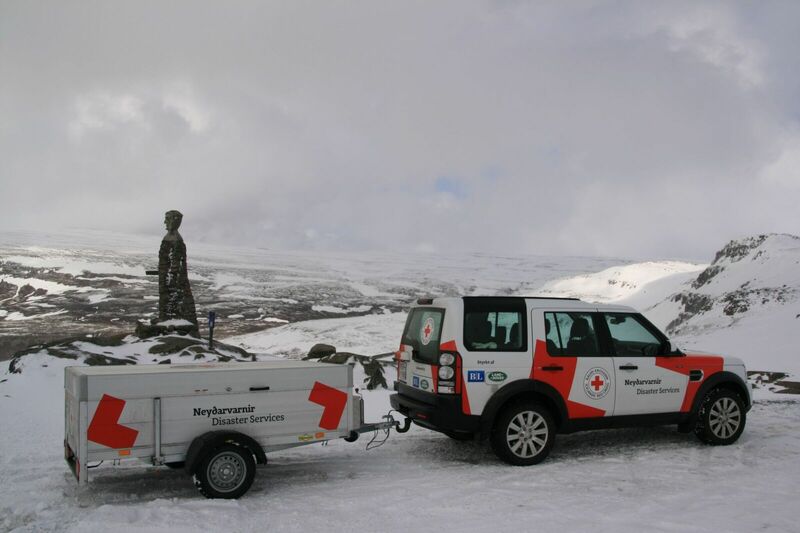 In Greenland for example, the Kalaallit Røde Korsiat has established an adapted Arctic First Aid programme, which includes vital information on surviving snow storms and avalanches, as well as how to deal with hypothermia or encounters with polar bears. Whereas in Svalbard, the Norwegian Red Cross has created specialised Arctic Emergency Survival Kits, which include equipment for protection from the elements, are water-tight, and can be dropped from the air so that people in remote locations can be reached. The study found that Red Cross Societies had independently developed similar systems; several are building decentralised storage capacities, such as the mobile trailers for the stockpiling of materials reported in Iceland, Finland and Alaska. “This shows comparable analyses of the conditions and challenges. Looking into the harmonisation of these systems could add value to regional preparedness - there is no need to repeatedly reinvent the wheel in different places”, notes Ilona Hatakka, Disaster Preparedness Adviser at the Finnish Red Cross. The study also states that Red Cross presence in the Arctic States is mainly grounded in 10,000 skilled local volunteers who provide significant support to public authorities and can contribute to scaling up emergency responses if needed. Community resilience in the north is also strengthened through training in first aid and psychosocial support, with local Red Cross branches generally well prepared to respond to routine incidents. However, when it comes to major accidents, the exact number of volunteers available is hard to define, and more needs to be done to prepare for mobilising reinforcement from outside the region. The study concludes with thirteen recommendations on how the Red Cross Red Crescent can enhance response capacities for major accidents and deepen cooperation on Arctic matters. While Red Cross Societies in the Arctic area have extensive know-how and understanding of the context, information is currently fragmented. Enhanced exchange would strengthen regional preparedness and allow for the sharing of best practices. In addition, building cooperation models is essential on all levels – with public authorities, external partners, stakeholders and indigenous communities. With Finland currently Chairing the Artic Council (2017-2019), the Finnish Red Cross is representing the International Federation of Red Cross and Red Crescent Societies (IFRC) in its observer capacity. In this context, it will share Red Cross Red Crescent expertise and contribute to discussions that will shape how risks are managed in the Artic. “The Red Cross needs to ensure that the most vulnerable communities are also taken into consideration when it comes to future developments in this area”, Ms Hatakka concludes. The authors of the Red Cross Disaster Management Study are Sini Hangaslammi, Project Officer for the Arctic Disaster Management project at the Finnish Red Cross and Ilona Hatakka, Disaster Preparedness Adviser at the Finnish Red Cross.